To speak or write about Linda Karshan’s drawings can only mean describing the process of their formation. But not as a process of forming something that ends up as a drawing. 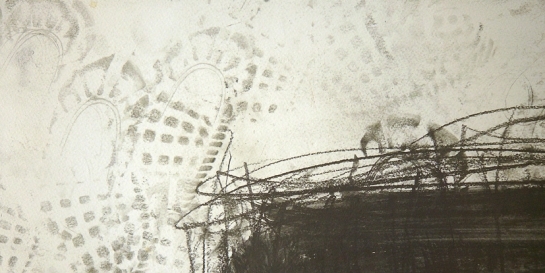 It means describing the drawing itself as the process of its own formation. is a group of large format (152 x 110cm or 152 x 121cm) drawings, which were drawn by the artist in 1995 in London. as well as the show Zeichnung als Prozess at the Museum Folkwang Essen (25.6. - 31.8.2008).